I loves a bit of skincare, I do, and in the last month or so I’ve added some new bits into my routine. I haven’t been using anything long enough to really do a full review and either ‘I love it!‘ or ‘I ‘ate it‘ sort of post, but enough to give a sort of first impressions. You with me? Origins Modern Friction exfoliator – I’ve been meaning to pick up this exfoliator for the longest time, and I finally did. Having quite dry skin on my cheeks, it’s important to exfoliate fairly regularly to get rid of dead skin and make things look a lot brighter. This is a standard scrub, and I am enjoying it so far. Doesn’t irritate my skin at all, and makes it noticeably softer. Bioderma Hydrabio Riche moisturiser for dehydrated and sensitive skin – a moisturiser I picked up in France to replace my Origins. Not in the same league – does not hydrate my skin in the same way. I’ll use it up, and then go crawling back to Origins. Wouldn’t recommend. Mel Millis energising face peel – I was sent this to try, although it is definitely the sort of skincare product I gravitate towards. I’ve tried it twice, and so far it seems legit. It’s a very thick sort of paste that I have been smearing on my face, and the consistency reminds me of the Lush face masks. 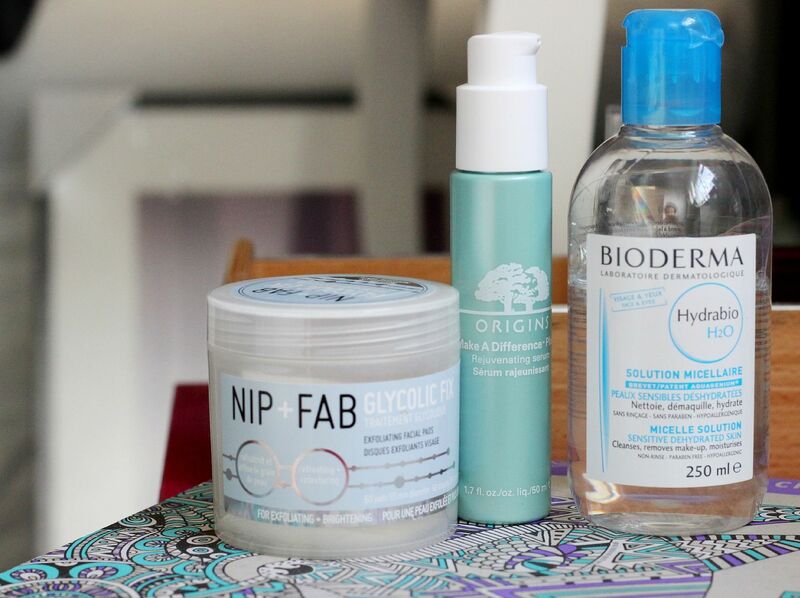 Nip + Fab glycolic exfoliating face pads – I got these because Gemma recommend them. Can’t really say anything more than that. They were also half price when I bought them, which was even nicer. They’re pre-soaked pads that you use as an acid toner step – not strong enough to sting, but you feel a little something going on, maybe. Nice and fresh. 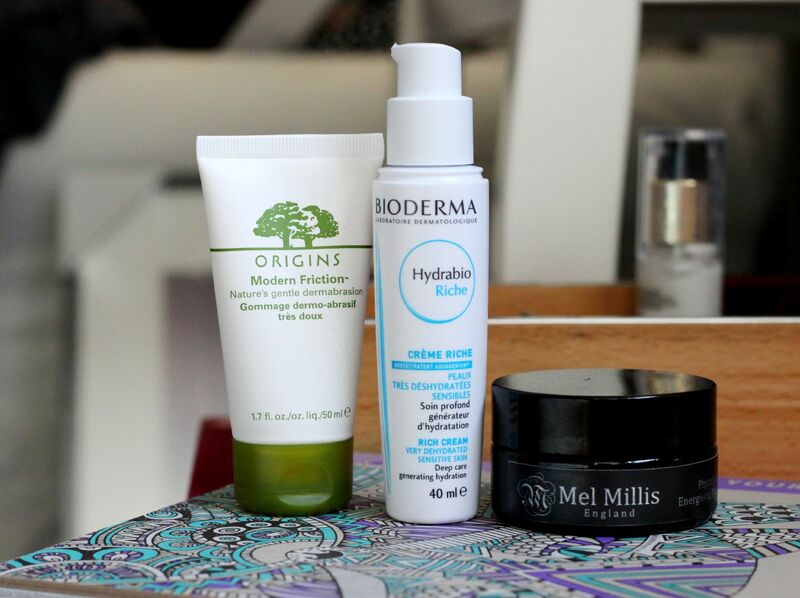 Origins Make a difference plus + serum – I am a big fan of the make a difference range. Huge (I also enjoy referencing movies). This serum was used on me during an Origins facial, and promises to help restore skin’s hydration at a deeper lever. It has replaced my tube of Hydraluron as my morning serum, and it seems OK so far.